Silver medallists in Suzhou two years ago, the Japanese partnership of Maharu Yoshimura and Kasumi Ishikawa kept their hopes alive of matching or even bettering the feat at the Liebherr 2017 World Championships in Düsseldorf, by emerging successful at the quarter-final stage of the Mixed Doubles event on Thursday 1st June. Furthermore, they extracted an ounce of revenge. In final at the Qoros 2015 World Championships they had experienced defeat at the hands of the combination formed by China’s Xu Xin and Korea’s Yang Haeun; in Düsseldorf, there was no Xu Xin at the opposite end of the table but Yang Haeun was present. 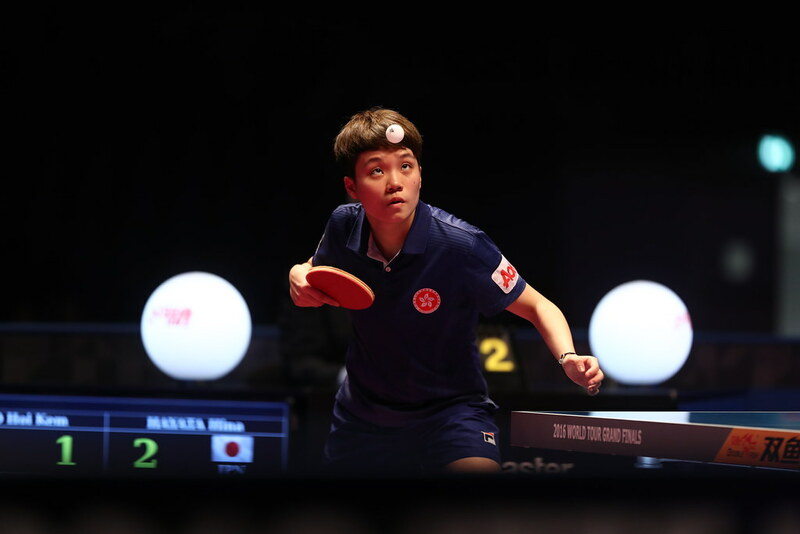 She partnered Lee Sangsu, a player with quite a Mixed Doubles reputation; joining forces with Park Youngsook, he was the runner up at the Liebherr 2013 World Championships in Paris. Runners up in Suzhou; undoubtedly that fact has added an injection of confidence into the minds of Maharu Yoshimura and Kasumi Ishikawa. They emerged successful in five games. A surprise according to seeding and the same theory could be applied to one further quarter-final contest; one that delighted the home supporters. China’s Fang Bo in partnership with Germany’s Petrissa Solja, overcame Sweden’s Mattias Karlsson and Matilda Ekholm. Fang Bo and Petrissa Solja started matters as the no.7 seeds; Mattias Karlsson and Matilda Ekholm as the no.3 seeds. Defeats for the higher seeded pairings; it was not the situation in the two remaining round of last eight Mixed Doubles duels. Chinese Taipei’s Chen Chien-An and Cheng I-Ching, the no.5 seeds, beat Spain’s Alvaro Robles and Galia Dvorak, the 37th listed pair in the order of merit; Hong Kong’s Wong Chun Ting and Doo Hoi Kem, the no.2 seeds, ended the hopes of Japan’s Kenta Tazoe and Miyu Maeda, the 40th rated pairing. At the semi-final stage Maharu Yoshimura and Kasumi Ishikawa meet Fang Bo and Petrissa Solja; Wong Chun Ting and Doo Hoi Kem opposes Chen Chien-An and Cheng I-Ching. The semi-finals and finals of the Mixed Doubles event will be played on Saturday 3rd June.